When Splash and his friends run into his old school of fusilier fish, they're astonished to find these identical fish do everything together - exactly in sync! But when Splash, Bubbles, Dunk, and Ripple try to dance together things don't go quite as smoothly. 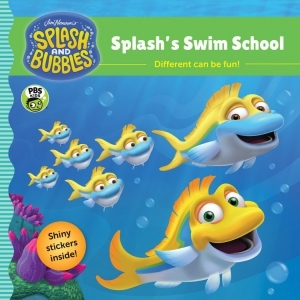 Do Splash and his friends have enough 'school spirit' to dance together - but each in their own unique way? Fun facts throughout reinforce the ocean science concepts.